Android 7.0 Nougat, the latest interation of Google's mobile operating system, has reached 0.3 percent market share on mobile devices. The major reason for the gain in market share for Nougat is Google's Pixel and Pixel XL smartphones. 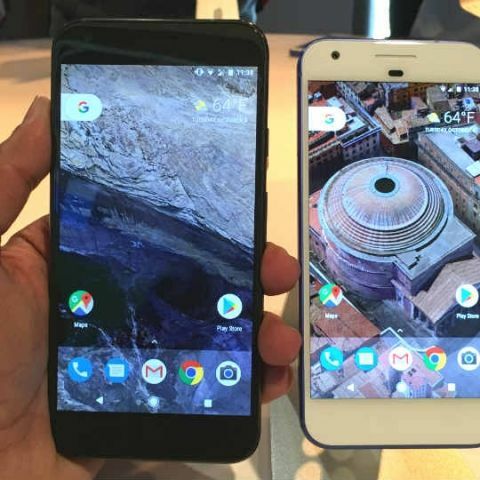 The 'Made by Google' devices are already surpassing Nexus 6P in terms of adoption, The company's previous flagship, which is also upgradable to Android Nougat. The latest flavour of Android is currently available on Pixel, Pixel XL, Nexus 6P, Nexus 5X and Pixel C tablet. LG and Huawei have also announced their latest flagships, V20 and Mate 9, which run on Android 7.0 Nougat. Android fragmentation is the biggest issue with Google's mobile operating system. There are still devices out there running almost three generation old mobile operating system. Latest figures shows that Android 4.4 KitKat is still running on nearly 25.2 percent devices, while last year's Marshmallow has a 24 percent share. Android Lollipop has the maximum market share among all Android flavours and is running on more than 34 percent of devices. Google has recently taken measures to tackle the update cycles and fragmentation in Android. The company plans to bypass OEMs and carriers by using Android Extensions. It is also advocating to use USB Power Delivery Standards and not properieatry standards. With Motorola announcing Android Nougat update for Moto Z and Moto G4 series and Samsung also preparing Nougat update for its Galaxy S7 flagship , the market share of Nougat should increase further.